The Lencrow Group supply a wide range of forklifts, pallet trucks and stockpickers with lifting capacity up to 50 tonne and height of 3 metres. They also provide Sales, Service, Parts and a very wide range of rental plans. Located in Warrnambool, Victoria, South Coast Forklifts provides complete forklift services for the agricultural and industrial sectors including forklift sales, rental, repairs and parts across the area. 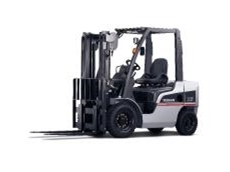 If you're looking for used forklifts or new forklift sales, Custom Forklift Sales is your one stop location for a wide range of machinery & fully operational Rentals along with qualified service from highly trained professional service staff. 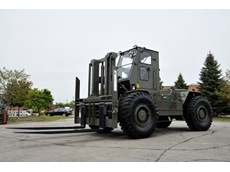 15/08/11 - Thanks to the addition of the Liftking range of heavy duty rough terrain forklifts, Lencrow were able to successfully sign contract with the RAAF to supply 12 air transportable five tone forklifts. 02/02/11 - Lencrow Group has entered into a five year fleet management agreement with Australian Bakels for its operations in Sydney. 19/01/11 - Lencrow has supplied forklifts to ACO Polycrete since 1994 and has recently struck a fleet management agreement to be their preferred supplier.